Announcer: This is ReachMD. The following episode in the series, Vascular Viewpoints, is, sponsored by Becton Dickinson – advancing the world of health. Content for this series is produced and controlled by ReachMD. Mario Nacinovich, MSc: Hospital-acquired conditions are a major threat in intensive care settings where the need for fast, reliable, and ongoing vascular access carries a persistent risk of bloodstream infections. These serious infections prolong hospital admissions, increase healthcare costs, and, most importantly, contribute to patients suffering, and death. But they are preventable and for vascular access teams, reducing this risk is priority number one. Today we are going to explore how this priority translates into protocols. 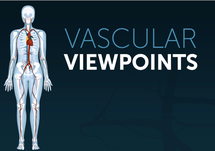 Welcome to Vascular Viewpoints on ReachMD. I am Mario Nacinovich and joining me to focus on best practices to our preventing central line-associated blood infections, better known as CLABSIs, is Dr. Hildy Schell-Chaple, a clinical nurse specialist in critical care and clinical professor in the School of Nursing at the University of California in San Francisco. Dr. Schell-Chaple, welcome to the program. Dr. Hildy Schell-Chaple: Thank you, Mario. I am glad to be here today. Mario Nacinovich, MSc: So, to start us off. Can you share some details on the scope and the burden of CLABISs in the critical care setting? Dr. Hildy Schell-Chaple: Sure. Well, today we know that we still have CLABSI occurring in our ICUs and hospitals across the country and a report from a few years ago on the national scope only about 25% of hospitals actually had reached that target of zero for their CLABSI ratios and rates. The burden of CLABSI continues and it is the same today as it was ten years ago. On the patient, there is obviously the increased risks related to getting a bloodstream infection that would progress to sepsis, septic shock potentially, and multi-organ dysfunction. It increases their length of stay and increases their risk of morbidity and mortality. The patient also has an increased risk of adverse effects from the treatment with antimicrobials. The risk of superinfections, drug reactions, toxicity, related to those antimicrobials. There is also a burden on the family of our patients regarding that increased length of stay, potentially going home on long duration of antimicrobials or infusions, or medications. It is their time away from their work and their family duties that does put a burden on them. We know the burden of costs. It has been estimated that we still have thousands of deaths related to CLABSI in the United States as well as up into the billions for costs on our healthcare system, but also the patients and families regarding their costs if it is in the form of a co-pay, depending on their insurance. Mario Nacinovich, MSc: From the vantage of your own clinical practice, do you and your team encounter CLABSI often? Dr. Hildy Schell-Chaple: Yes, we still see it here. I work in an academic health center and we have high-risk populations here as do many hospitals though we typically have a lot of solid organ transplant and oncology patients receiving a lot of chemo and biotherapies. In our critical care units, we have patients on ECLS or ECMO and continuous renal replacement therapy, so these therapies increase risk. But we do see it much less from five years ago, from ten years ago, and definitely from 20 years ago, and I think that is related to our standardized care bundles for prevention, including the standardized insertion bundle, we rarely see insertional related CLABSI anymore, very rare. So, our focus is on the maintenance bundles of care that we are continuing to improve upon whether it is site care, securing the lines, appropriate sites. Mario Nacinovich, MSc: Let's come back to the health measures that are most often used in relation to this issue. 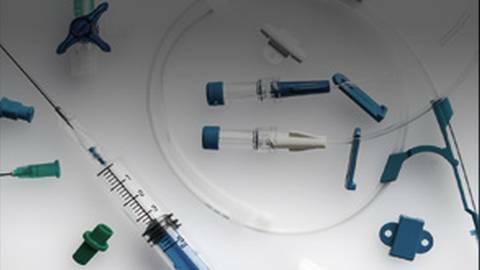 Can you tell us a little bit about how the standardized infection ratio or SIR relates to CLABSIs? Dr. Hildy Schell-Chaple: Sure. So, a few years back the NHSN, National Healthcare Safety Network, wanted to have a standardized measure that would be the primary summary measure to help track all hospital-acquired infections. So, there is one for not just CLABSI but CAUTI and other hospital-acquired infections and to help people evaluate and then compare at the local, state, and national levels. That's standardized infection ratio, if calculated, taking the actual number, let’s say of CLABSI in our organization, on a monthly basis and then that number is divided by the predicted CLABSI rate and that is data that has been collected from the large databases, national databases and they are adjusted for several risk factors, which really makes sense. If you're a normal, healthy, 20-year-old that comes in and gets a central line the risk of getting a CLABSI is very different than a vascular patient who has diabetes and is immunosuppressed because of a kidney transplant. So, they are adjusted, that predicted CLABSI rate is adjusted for those risk factors. So, then that is how it's calculated and a ratio greater than one means you have more CLABSI than predicted and that is not a good sign. If it is less than one, then you have less hospital-acquired CLABSI than predicted. The lower the number, closer to zero, is better and zero is the target from the Leapfrog organization and others what we should all be targeting zero rate from our SIR rate. In 2019, SIR was updated to exclude from the actual number of CLABSIs patients that had the CLABSI that was determined it was related to mucosal barrier, interruption, or that patients that are on ECLS, (extracorporeal life support) including ECMO and then ventricular assist devices were actually excluded from the data because of their high risk. So that was something that was the recent change in 2019. Mario Nacinovich, MSc: And looking at your day-to-day work, how has this health measure influenced your vascular access team's approach to care? Dr. Hildy Schell-Chaple: You know I think, it actually has, because of the risk adjustment, given us a better sense of how we are actually doing with things that we can control in terms of prevention strategies. In some cases, because of that risk stratification, our numbers may look better, but that does not stop the front line and the leadership of our vascular access team and all of the clinicians in our organization with our infection control colleagues to continue to look at evidence-based care and explore innovations, particularly related to the maintenance care of these lines after they are inserted in efforts to prevent these infections that we know can be life-threatening for patients. Mario Nacinovich, MSc: For those just tuning in, this is Vascular Viewpoints on ReachMD. I am Mario Nacinovich and joining me is critical care nursing specialist Dr. Hildy Schell-Chaple from UCSF. Today we are talking about central line-associated blood infections or CLABSIs in the critical care setting. So, Dr. Schell-Chaple, earlier we talked about the standardized infection ratio, but now I'd like to focus on another scoring method called the Z-score. What can you tell us about this measure and how it factors into hospital care protocols? Dr. Hildy Schell-Chaple: That's a great question, Mario. I think, well let me tell you about what the Z-score actually is. It's a methodology that can calculate, re-calculate I should say, your infection score, and this is called a hospital safety score. What these scores do is they standardize data from individual scores that might have different scales and then it allows comparison of different types of data. So, let’s say, for example, an organization where they may not have the calculating or standardized infection ratio, but they know the number of CLABSI infections they have over the number of patient days. So, they may have a rate that they calculate that is the actually number of infections over the 1,000 patient days, and that number is going to be very different than the calculated standardized infection ratio which, as you remember, I described is calculated from the actual number of CLABSI infections divided by the predicted CLABSI infections but are adjusted to the severity of illness for the patient population, the types of patients. So, you have two different numbers and we can't compare them because they are apples and oranges. So, what the Z-score methodology does is it lets you recalculate your data so that you can compare them as if they were apples and apples. That's the purpose of the Z-score and it really has just helped hospitals be able to evaluate their data and compare how well they're doing or not doing compared to other organizations who may be using different data forces. Mario Nacinovich, MSc: So, in considering these various measures and putting them into action, what are some key areas that you think hospitals and vascular access teams will need to focus on to improve CLABSI prevention? Dr. Hildy Schell-Chaple: The measures are very important, and they really help an organization see where they are and where they need to go, and to help them with goal-setting. But also, when we think about the scores and the data, there are outcomes and what we really want to focus on is, if we know our outcomes and where we need to go (our goal), what are the process changes and improvements that we need to make to really affect that outcome. As I mentioned earlier, most organizations have nearly nailed the insertion standards of care to prevent CLABSI and, as we do see most CLABSIs occur 48 to 72 hours after insertion, then it's related to our maintenance and how we access them and how we care for the site, how we change the dressings; when they're hooked to IV lines, how do we manage those lines, handwashing, all of those other preventions are in our maintenance bundle. So that is I think the focus that everyone should be paying attention to, conducting research on, and we do know there are things we know the catheters, whether is it is a PICC line in the arm or a percutaneous multi-lumen line in the jugular vein or subclavian vein and patients who were ambulating and moving them in the hospital or they're going home with these, they move and so the focus today is on how do we secure them at the insertion sites so they really aren't moving in and out and taking with them some of the skin organisms despite our efforts to ensure that we are cleaning them well and putting occlusive dressings on them. So, I think that the focus of teams today is really around the maintenance and looking at opportunities to improve there. Mario Nacinovich, MSc: At the onset of this program, we talked about how we were going to explore how this priority translates into protocol, but I can say from our conversation here today, it clearly is putting protocol into practice and practice is certainly leading to improvements in prevention. So with those closing thoughts, I would like to thank Dr. Hildy Schell-Chaple for joining me and sharing her insights into CLABSIs. It was certainly great having you on the program today Hildy. Dr. Hildy Schell-Chaple: Thank you, Mario. It was great to be here today. 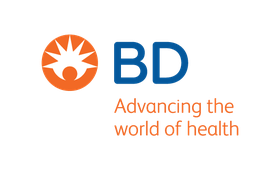 Announcer: The preceding program was sponsored by Becton Dickinson – advancing the world of health. 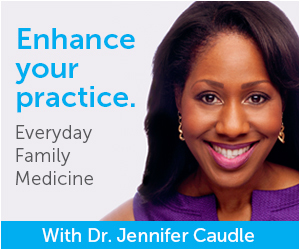 To access other episodes in this series, visit ReachMD.com-slash-Vascular-Viewpoints. This is ReachMD. Be Part of the Knowledge. The risk of central-line associated blood infections is rampant among vascular access patients but preventing this serious health threat IS possible. Central-line associated blood infections, or CLABSIs, are hospital-acquired conditions that result in prolonged hospital admissions, an increase in healthcare costs, and unfortunately, patient suffering and, in some cases, even death. To help vascular access teams prevent these serious infections, ReachMD host Mario Nacinovich, MSc speaks with Dr. Hildy Schell-Chaple, a clinical nurse specialist in critical care.